Last year I took another awesome class with Michelle Ward at the Ink Pad in NYC. If you ever get a chance to take a class with her, do it! 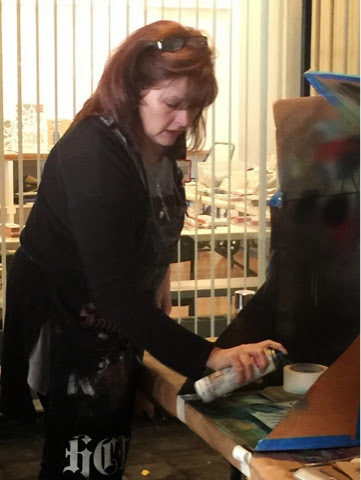 She is funny, very regular, and just lives/loves the creative process. 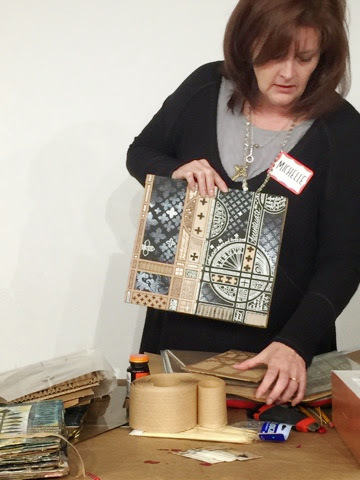 This class was the “cardboard” journal and just so cool to work on! Mine is still in progress but here are some photos of Michelle and her journal.